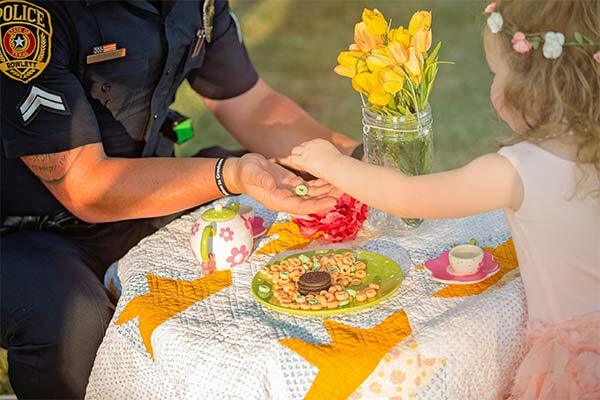 A police officer sat down for tea time with a toddler whose life he saved last year. 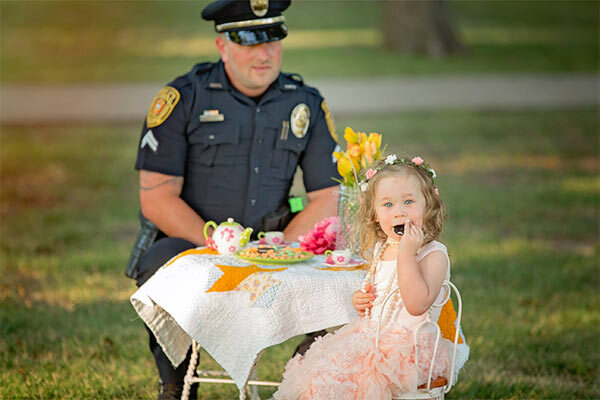 Earlier this month, 2-year-old Bexley invited Officer Patrick Ray of the Rowlett Texas Police Department to join her for a tea party and photo session to celebrate their special bond. 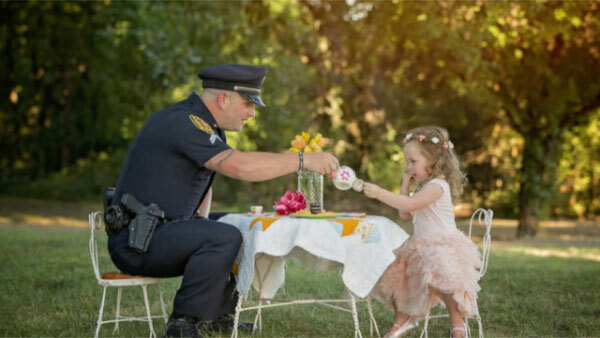 On July 26, 2015, little Bexley was playing in her swimming pool at home with her family. Her mom, Tammy Norvell, tells ABC News that she was taking the kids inside for a nap when she noticed her daughter's lips were blue. "She went completely limp," Norvell recalled. "It was more than falling asleep. She just collapsed. I looked in her eyes and she was so distant. We had no clue she had swallowed anything." Bexley had been choking on a penny. 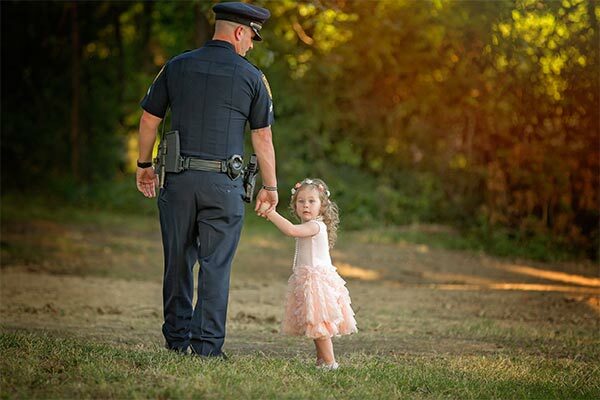 Her father called 911, and Ray, who was out on his lunch break, answered the call. "I heard [Ray's] siren and ran out the front door," Norvell said. "He's grabbing her from me and is trying to pry her mouth open with two hands. He did the finger sweep into her esophagus and a penny dropped down into it. That's when we heard the most beautiful sound of her squeaking and coughing and crying." Now, one year later, the Ray and Norvell families are closer than ever.